The iconic blue domed churches of Santorini. 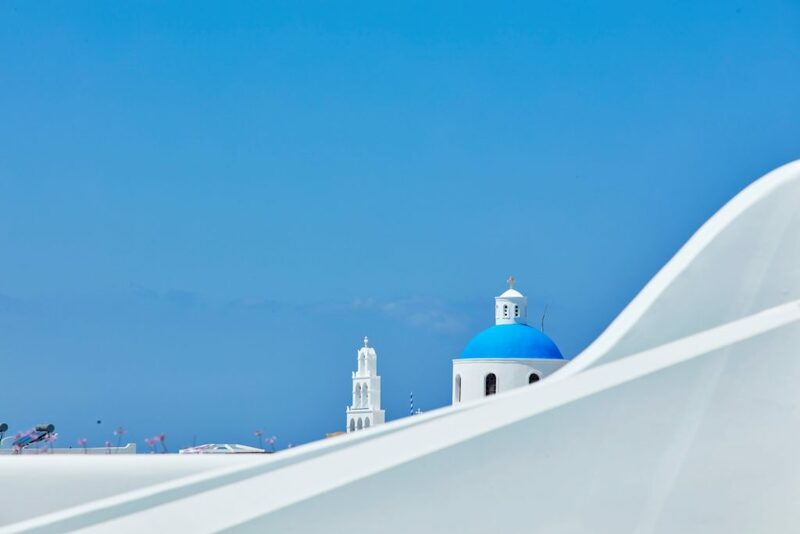 Once in Santorini the painted arches and blue domes should have definately caught your attention, since they perfectly match the blue sky with a backdrop of the caldera and the Aegean Sea. Wherever you turn there is a cute small or bigger church that stands amidst the white houses on the cliff. 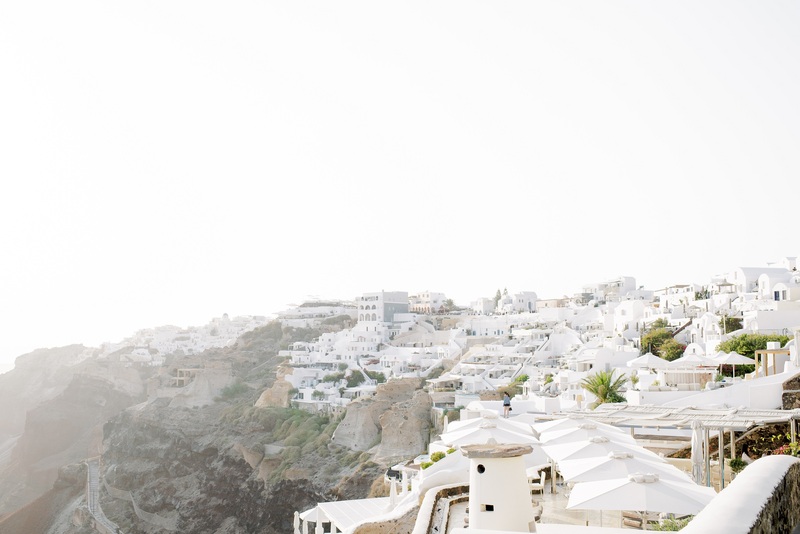 The blue domed churches with the white crosses and sleek bell towers are the classic postcard shot, definitely among the most photographed spots of Santorini. Santorini Orthodox Metropolitan Cathedral: Built in 1827, this church dominates the centre of Fira, with its large white dome visible from all directions. 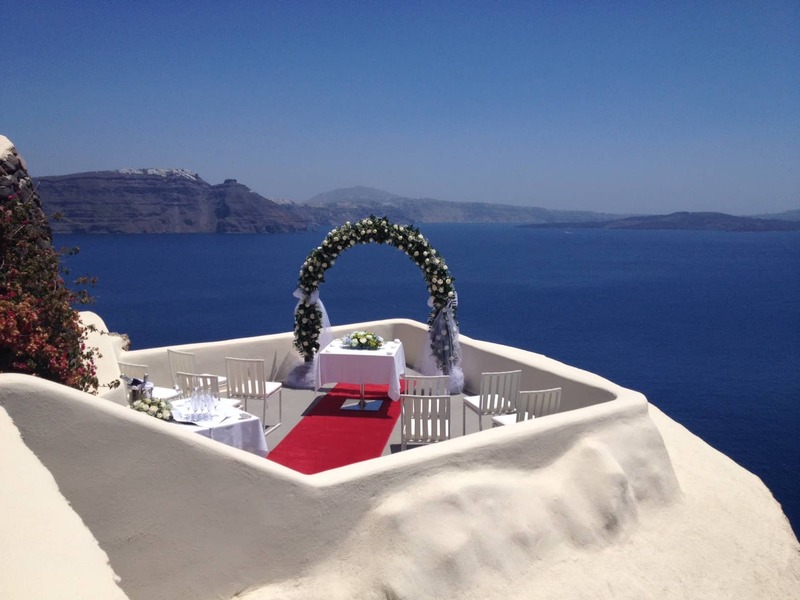 The cathedral features beautiful frescoes and an impressive bell tower, while offering stunning view to the caldera and the volcano of Santorini. 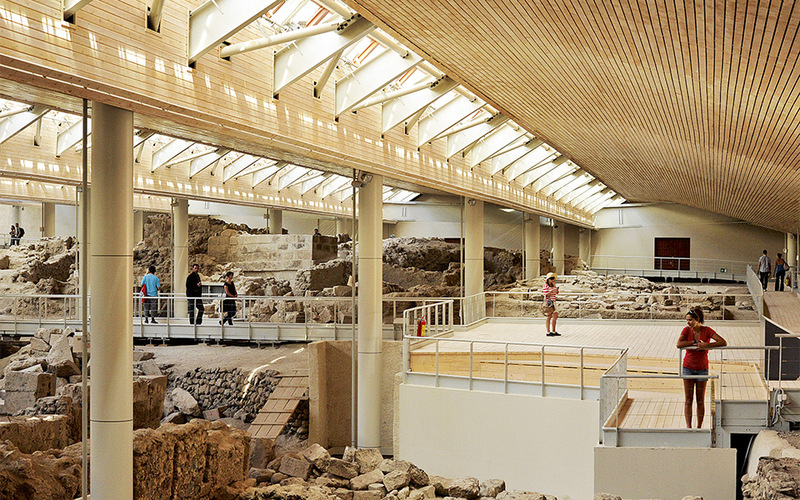 In 1956, it was damaged by a catastrophic earthquake but it was soon renovated. Santorini Catholic Cathedral: Located at the catholic neighborhood of Fira village and dedicated to Saint John the Baptist, the unique catholic church of the island stands out from afar due to its peach coloured exterior and the impressive clock tower it features. The church was greatly damaged by the eartquake in 1956 and was renovated in 1975. St Gerasimos Orthodox Church: Located in Firostefani village and offering a great view to the caldera, this beautiful church stands out due to its impressive blue-coloured dome.